Disney Goddess: Pixar Pals Countdown to FUN! Change is a funny thing. Some of us embrace it earnestly, excited for a fresh start. Others cling to the past until the change itself becomes status quo and we are finally comfortable with it. Regardless of how we face change, it is inevitable. Disney World is always changing. We are enthusiastic about the new happenings in fantasyland (open link in new tab)The transformations that are newfangled and fresh and cutting edge are a big part of the Disney mystique. Our taste buds become giddy when menus offer innovative and interesting recipes. However, when those objects that we hold near and dear are taken away, up on our haunches we go. Those are our memories they are messing with! Yes, this is a parade that is remembered fondly (I hear a rumor that this parade is being moved to Disneyland California in 2012). Then came Disney’s Block Party Bash! This parade was a high energy, show stopping extravaganza! 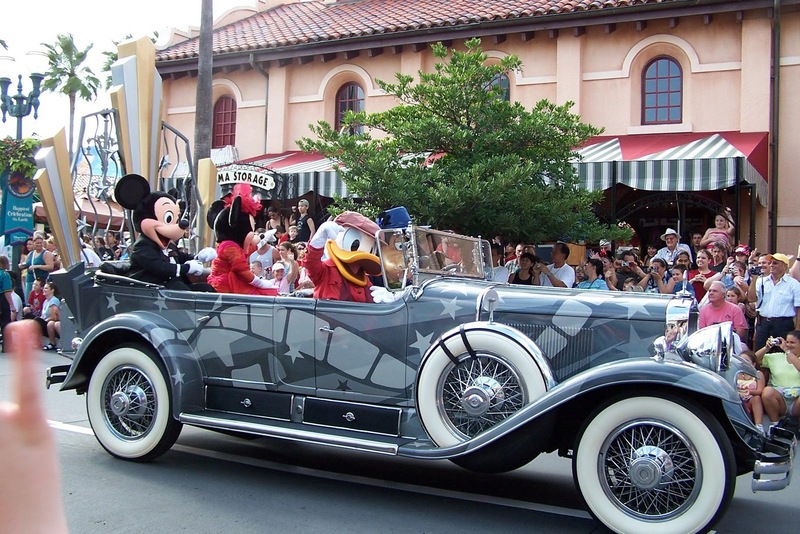 It was much loved, although short lived, having only graced the streets of Hollywood Studios from March 2008-January 2011. Now, we have the new Pixar Pals Countdown to fun. Peppy music, bright colors and smiling faces launch the festivities into action. It is energetic, and highlights several of Disney/Pixar’s most beloved characters. This parade is reinvented. Many of the Block Party floats are reused. Several have criticized the parades lack of pizzazz. Ok, I can’t argue that Pixar Pals doesn’t live up to the expectations set by block Party Bash. They had trampolines and acrobats for goodness sake! The new parade is fun on its own accord, however. Anyone who has never seen the previous parade will be dazzled. It is tough to live up to standards that have been set extraordinarily high, as it was for the last few years. I am just hoping that the money saved on less flair will be used to make one heck of a Fantasyland enhancement. Change is hard. It tugs on our emotions. It isn’t always permanent. I am reminded of another parade. The Main St Electrical Parade! I grew up with those glowing floats and the music I never forgot a note of! I was in Magic Kingdom the day we said good-bye to that parade (and I have the button to prove it!) Well, well, well….guess what came back last summer? Oh! And People movers? They brought that back too (well, the name anyway)! The tower from River Country has been refashioned into a slide at the Fort Wilderness pool. So with Disney, you never know what changes will take place. What is old may again become fresh. One thing that never changes? How much magic we experience with our loved ones and the memories that will last a lifetime... even if a parade doesn't.